Invented by Rod MacKinnon, a Nobel Prize-winning neuroscientist/endurance athlete, HOTSHOT™ is the sports shot with a kick that is scientifically proven to prevent and treat muscle cramps. A scientific breakthrough in sports nutrition, HOTSHOT is a proprietary formulation of organic ingredients that boosts Neuro Muscular Performance – how an athlete’s nerves and muscles work together in an optimal way. MacKinnon and Harvard neurobiology professor Bruce Bean spent several years calibrating this precise formulation of Transient Receptor Potential (TRP) activator ingredients that stimulate TRP ion channels in the mouth, esophagus and stomach that directly influence and regulate nerve function. Translation? HOTSHOT stops muscle cramps where they start – at the nerve – allowing athletes to push harder, train longer and finish stronger. HOTSHOT is a non-GMO Project Verified, USDA Certified Organic product that is NSF Certified for Sport®. 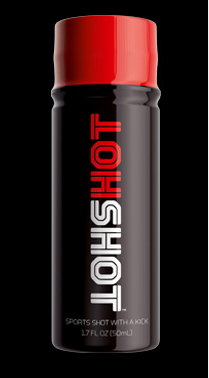 HOTSHOT is a consumer product that is marketed to endurance athletes. HOTSHOT complements the Company’s drug development business and is not intended to diagnose, treat, cure or prevent any disease. To learn more, visit www.TeamHOTSHOT.com. HOTSHOT is a product of Flex Innovation Group LLC, a division of Flex Pharma, Inc. (Nasdaq FLKS).